As aspiring PR professionals, we are a little too familiar with social media. From Twitter to Instagram to Pinterest, we know the ins and outs of both the personal and business sides. But what about LinkedIn? 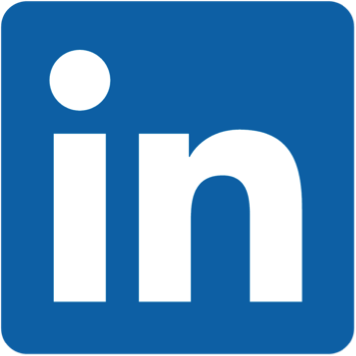 If you’ve never heard of it, LinkedIn is a social media site where professionals can connect with each other and companies or businesses. In short, it is an essential networking tool that all professionals, including aspiring pros that are still in school and looking for jobs or internships like us, should be taking advantage of. But don’t have a stress-induced panic attack if you haven’t created an account yet, or are confused as to how to gain more connections or add more information. Here are a few tips and tricks that will get you well on your way to being a LinkedIn expert. Keep it professional. LinkedIn is a networking tool, so it is crucial to keep everything as professional as possible. Use a high-quality, professional-looking picture of you (and only you) as your profile picture, and make sure anything you post is business or industry-related and is not inappropriate in any way. Also, LinkedIn will notify you whenever someone views your profile, so keep the stalking to a minimum and save it for Facebook, Twitter, and Instagram. Highlight your experiences. Input as many of your professional work experiences with jobs, internships, and organizations as you can. Add detailed explanations of what you were responsible for and what you accomplished. This isn’t your resume, so you don’t have to worry about keeping it short and concise; you can make it as long and detailed as possible. However, do make sure that your experiences are relevant and up-to-date. For example, if you’re about to graduate, don’t have anything from high school on your LinkedIn profile. In addition, you can upload your updated resume so potential employers can print it off and have easy access to it. Join groups. Join groups that are relevant to what you want to do and what you are interested in. LinkedIn has many public relations and social media related groups, which allow you to connect with other aspiring and established PR pros that are interested in the same things you are. Ohio University has a group for both alumni and current students, where you can connect and network with other Bobcats. Follow companies and influencers. Follow companies that you are interested in, whether it be for a job or internship, or simply because you like what they’ve been doing recently and want to learn more about them. You can also follow “influencers,” which are people (mostly founders and CEOs of major companies) that have amassed a lot of followers and write about specific topics. This can be a great way to learn more about the industries you are interested in, or even just learn a little bit more about current events from a different opinion. Network, network, network! You don’t have to tell Scripps PRSSA twice! Connect with anyone you can on LinkedIn, from your peers here at OU to your coworkers and mentors at your internships. Whenever you receive a business card, search the person on LinkedIn and connect! You never know where these connections can lead, so don’t be afraid to get out there and send some LinkedIn invites. Just be sure to write your own personal message when connecting, instead of sending the generic one, to ensure that you stand out and to remind the person you’re connecting with of who you are and where you met.